This is looooong overdue! Between the last post and this one…I GOT MARRIED TO THE MOST AMAZING WOMAN EVER! It was awesome and I will surely post more as I put the creative assets together. Because I’m supposedly the designer, I took it upon myself to do a number of DIY things for our wedding. 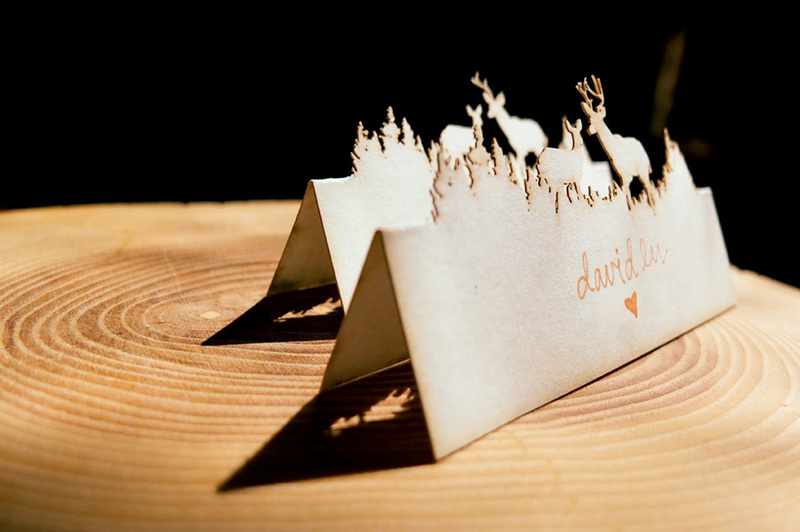 Those being – the invitations, table numbers, namecards, programs, website, and thank you cards. In time, I will feature them all. I am now following up the last post on table numbers with another diy element that we had at the wedding – the namecards. This was a project that really came together in the last 2 weeks before the wedding, but really turned out great and really added a unique design element to our wedding. The process was fairly simple on my end. 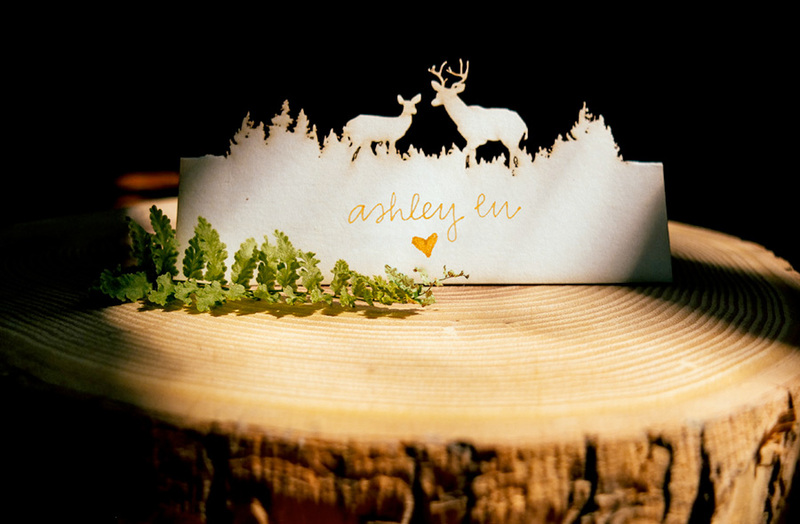 Essentially, I drew the outline of a normal rectangular namecard and then included our illustrated deer/forest outline within the rectangle at the halfway point so that when the card was folded in half, the deer and forest would “pop out.” I then got my groomsman, Justin Chow, help me laser cut the design out of cardstock. After that, we just had to punch out and fold the cards. Our friend, Vania Ho, then graciously helped us handwrite all of our guests’ names on the cards. It was definitely a group effort! Simple enough! This was just a tiny detail in our wedding adventure, but I’m glad we were able to make it happen! Let me know what you think in the comments below! Lots more still to share! Stay tuned!